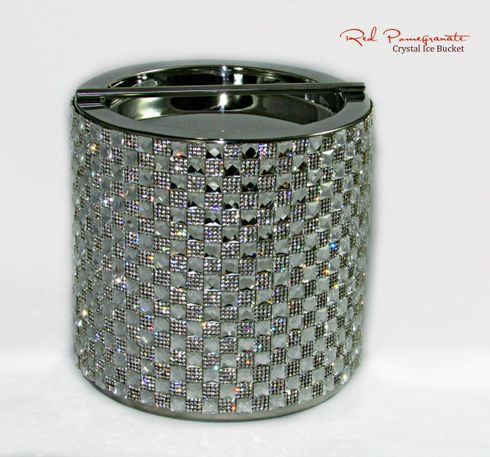 Beautiful Crystal Rhinestone 3 quart double wall ice bucket, with a modern bar lid. Each ice bucket is hand made to order. Can be used as a flower vase.